The "Rolling Stones of Asia" are back! 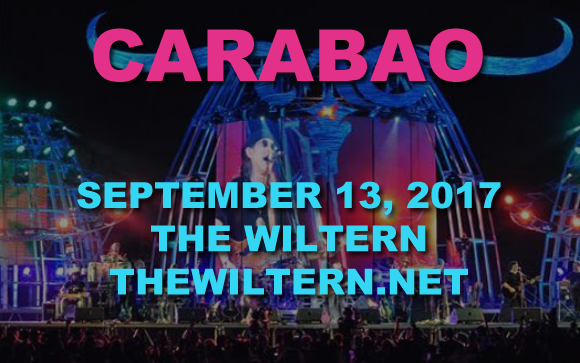 Celebrated Thai rock group Carabao comes to The Wiltern on Wednesday 13th September 2017 to play hits from their hugely successful career, which has spanned over 35 years! These veteran performers give energetic, passionate performances time after time – don't miss your chance to see them live! Known as the “Rolling Stones of Asia”, rock band Carabao was originally formed in the Philippines, but later moved to Thailand, where the band has enjoyed huge success. The band is also popular throughout the rest of the continent, despite at least one or two songs on most albums up to the mid-'90s being banned by the government and coverage of the band rarely appearing on government TV and radio stations. With over thirty years in the industry, the band has developed a cult following and continues to tour regularly around the world.